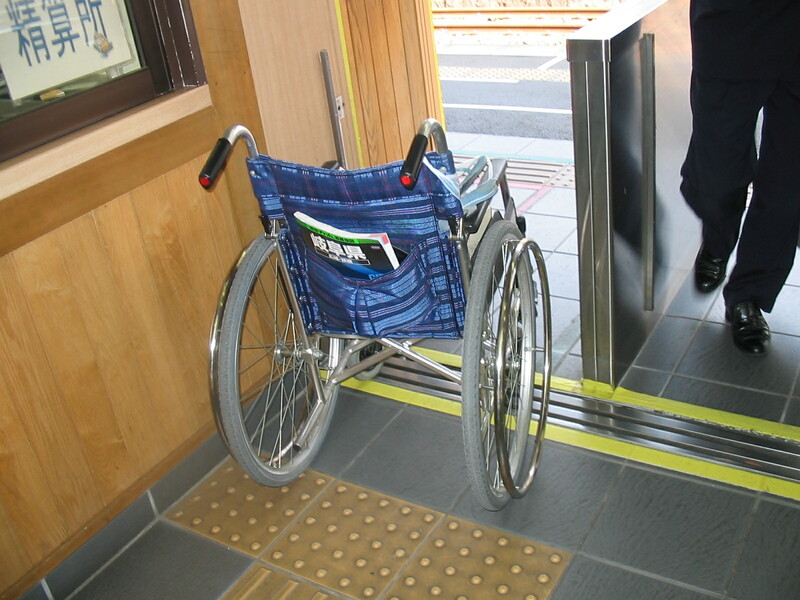 Too high for people on wheelchairs, if good for blind pedestrians with braille in JR Gero Station, Japan. * As a leader of a country, s/he must understand pains of the weakest, children, and the sick. 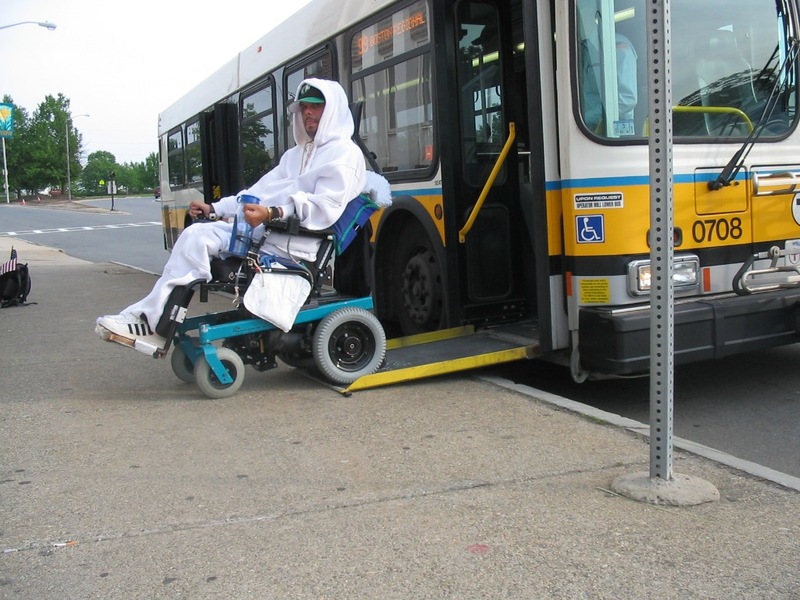 Every policy maker experience a person with disabilities on wheelchair that you drive. * Ludwig Guttman, German Jew neurosurgeon, running away from Nazi succeeded in initiating Paralympics, world second largest sports game as parallel Olympics for people with disabilities after encouraging his paraplegic (spinal cord injured) soldiers and patients to do sports. 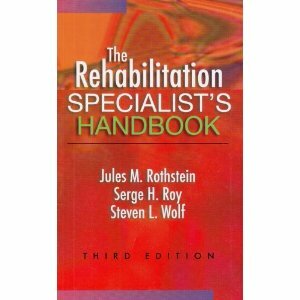 People with disabilities and/or on wheelchairs now living with info-technology may be better qualified than normal people as employees and social contributors like Ludwig van Beethoven, Helen A. Keller, Pr. Franklin D. Roosevelt, Miyagi Michio (Jp. blind koto musician) after overcoming some handicaps that they must not have cared, who had super intellectual curiosity, memory, functional skills, logic, and creativity for the sake of us humanity. 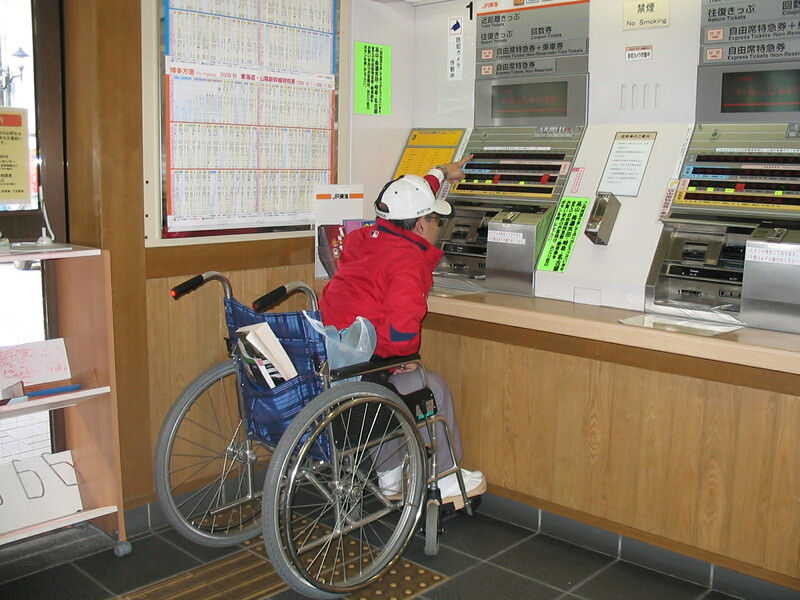 * Barrier-free environment and technology seems to be advanced for blind pedestrians in Japan, but screen reader software both of mailer and browser only on MS Windows functionality is limited in these info-age. Encoding limits for Shift_JIS or ISO-2022-JP, not unicode UTF-8, Mac or Linux unavailable, and hyperlinks are not functional. Microsoft Japan must adopt a default encoding of unicode if they really value universal design. NTT and other cell phone and smart phone makers let thumb- or even index-typing prevalent among young people in a country without typing tradition, don't they? * 全盲の鍼灸師友人に聞いて、しかし、コンピュータの音声化ソフトウェア Screen Reader は、この情報社会に技術の日本が、テキストのみ html 対応なき、リンク対応なき Mailer (ISO-2022-JP Code のみ)、Shift_JIS code のみ Browser や Screen Reader、、、Mac も Linux も対応なし Windows のみというのは初めて気がついた。コード体系も Google 始め Unicode 化進め、携帯も UTF-8 に対応しているのに、スマホ アプリには研究開発費つぎ込むのに、インターネット時代 17 年でも盲(めくら)のこの音声化ソフトウェアの状態とは (;;。;;...) また、巨象 Microsoft Japan は、いつデフォルト Code を変えるのか? NTT らはタイプ文化なき日本に、親指族や、人差し指タイプまで流行らせていくのか? 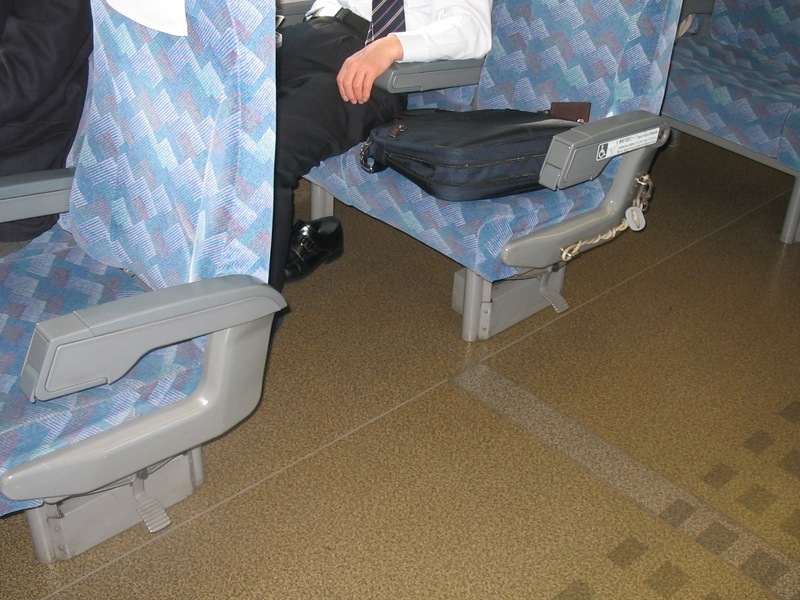 W/C bathroom is too big to have proper aisle in luxurious super express train in Japan. 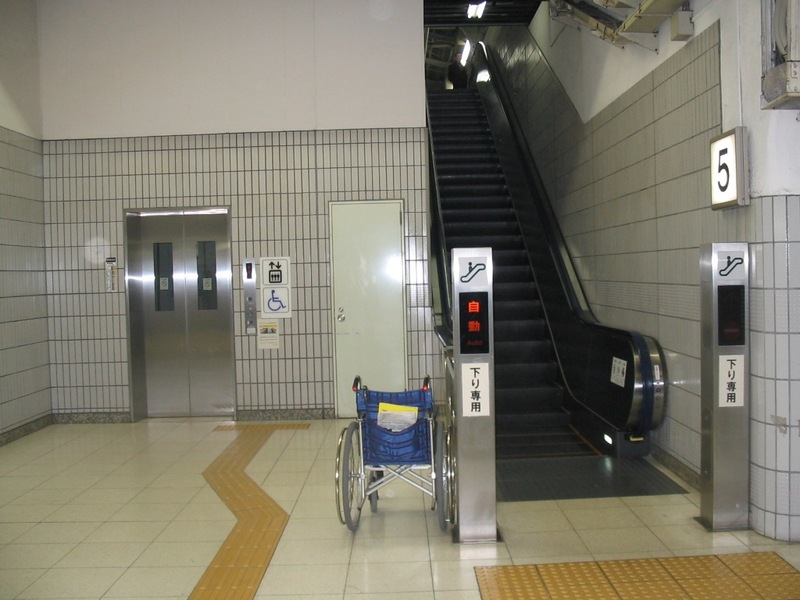 Traditional Japanese style toilet for JR station with narrow access? 駅に、伝統的和式トイレ、入り口も狭い? 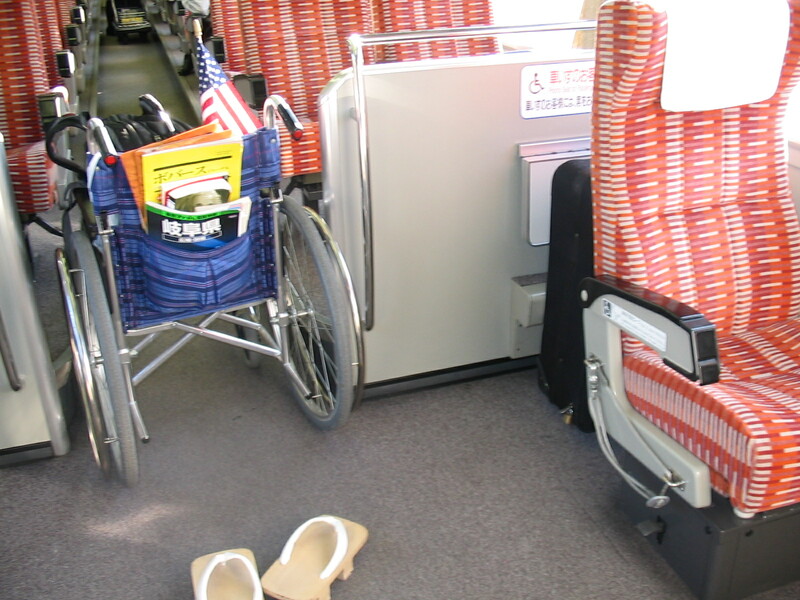 One wheelchair hook in a reserved train in 1343 seats in this Shinkansen bullet train Nozomi. It was in 1964 when the Japan National Railway (privatized later into JR) invented "The Dream Super-express" for the sake of Tokyo Olympic. 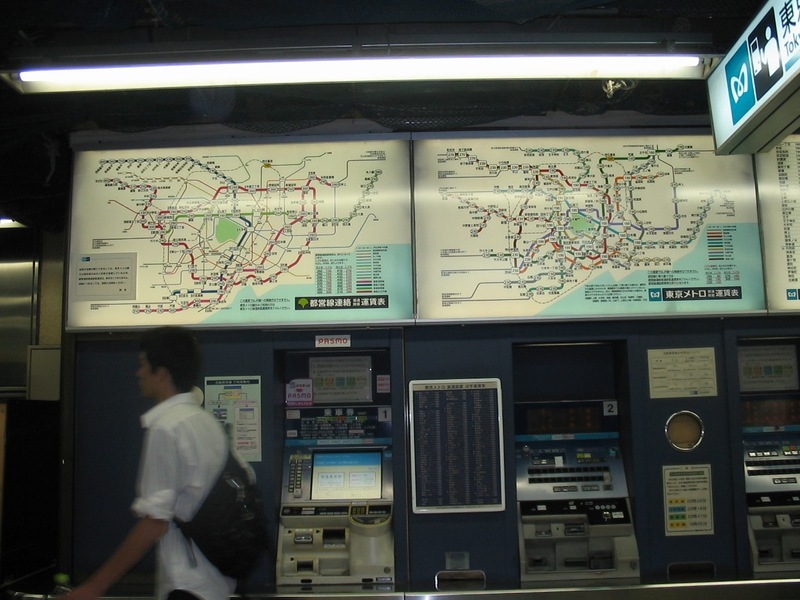 At the W/C space in a new subway train in Osaka, the microphone and the map are too high. 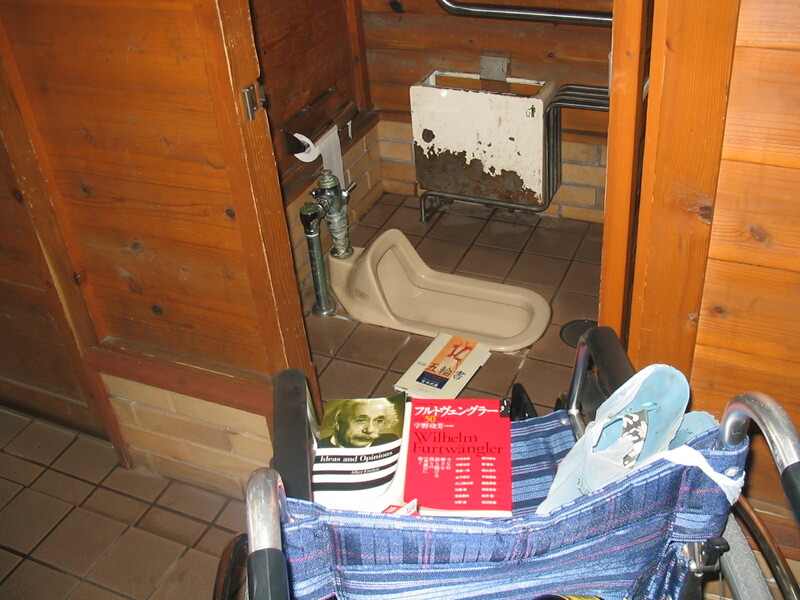 Do the designers USE REAL wheelchairs when they design? Every platform has downward escalator and elevator？Use our tax effectively, JR Nagoya Station. 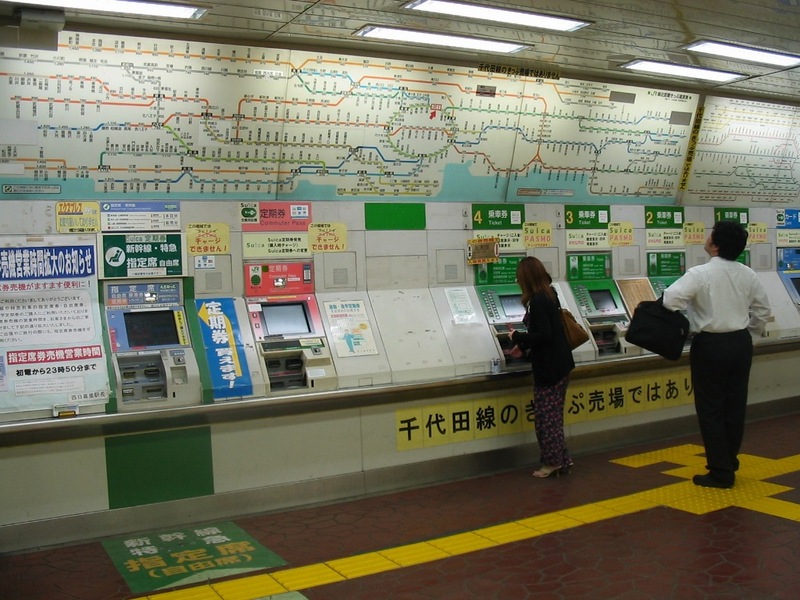 Subway ticketing maps show both Toei and Tokyo Metro Lines kindly on the JR Lines. 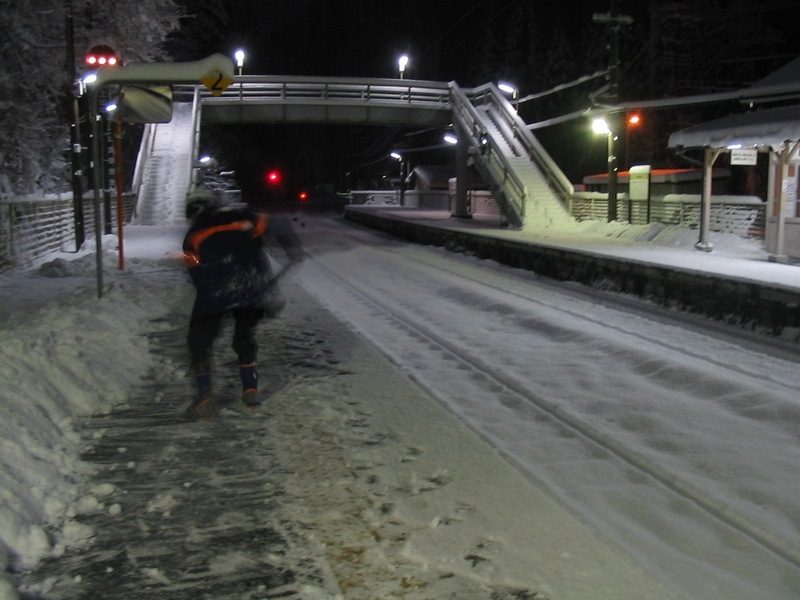 Many senior citizens use this local unmanned Yakeishi Station, JR Takayama Line; we had better have slopes without stairs. 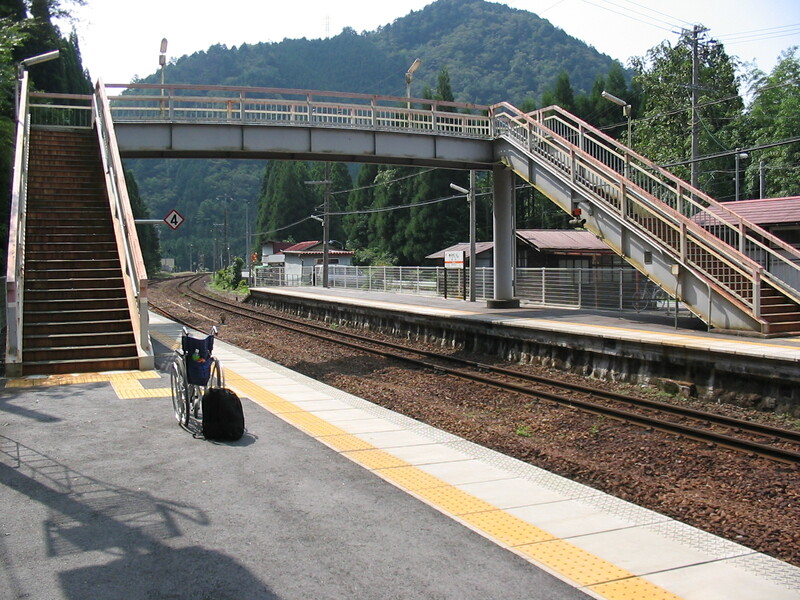 Entrances and train floors are 32 cm high from the Niigata Station platform, local JR Echigo Line, further, each gap at each station platform is different. 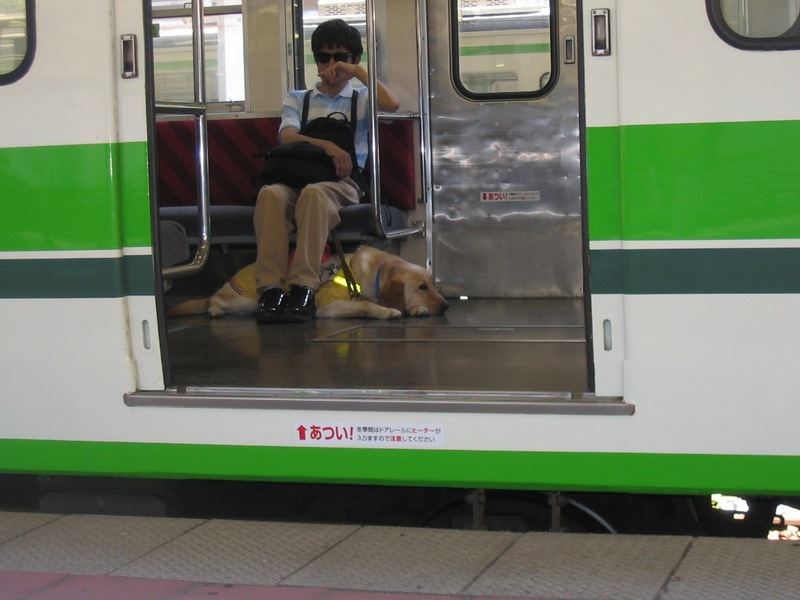 We see blind passengers. 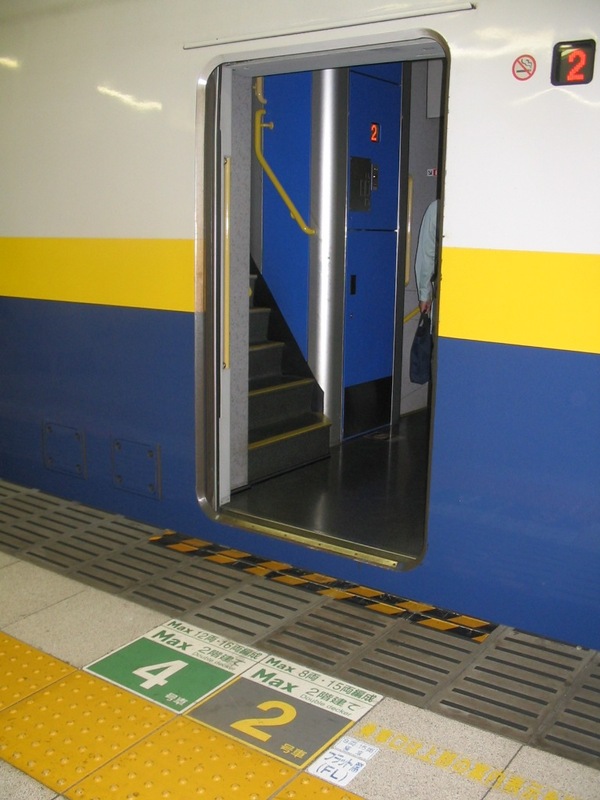 Joetsu Shinkansen bullet train adopts 2 story trains but can suitcases or wheelchairs enter? 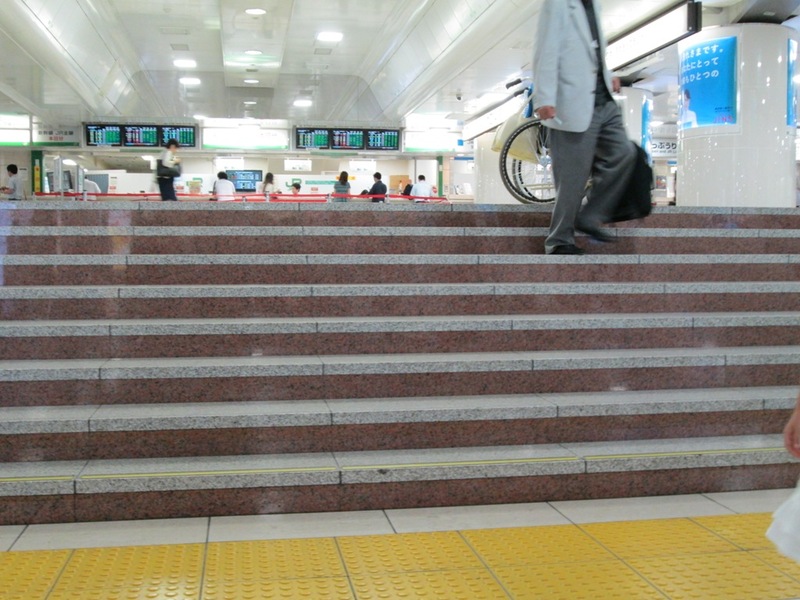 Why these stairs exist hindering between corridors and Shinkansen bullet train? Jap architects are that of stairs, JR Tokyo Station. 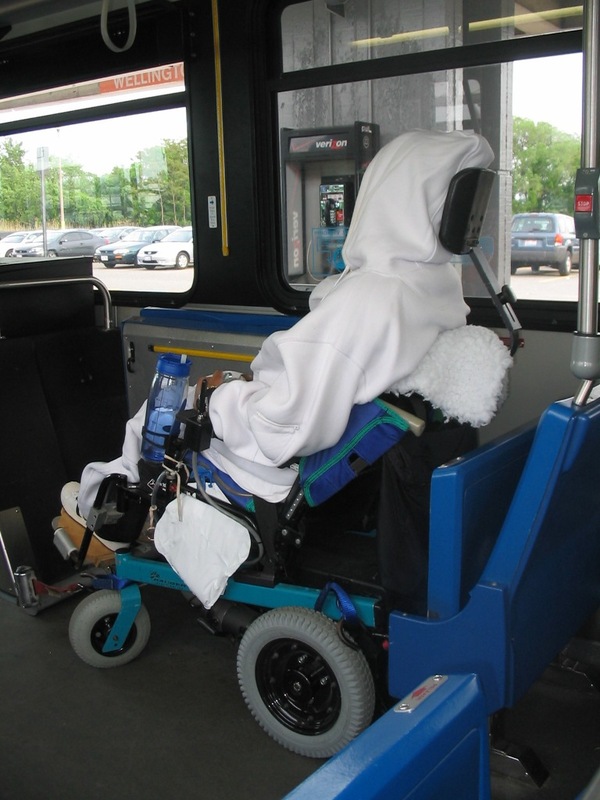 In the U.S., my neighbor, seemingly Cervical spinal cord injury victim, is commute-training with a volunteer; watch neck support and his W/C hooked by the driver. START for PEACE.ram Sanshi Suimei, & Kokoro ni Hana o.ram Song of Myself & Fireflies.ram Nightingale.ram <= Real Music! Ryoka, Tooi sekai ni.ram Uguisu no sato.ram John F. Kennedy Martin Luther King Jr.
Download Real Player Basic(TM) to enjoy original theme songs for free. 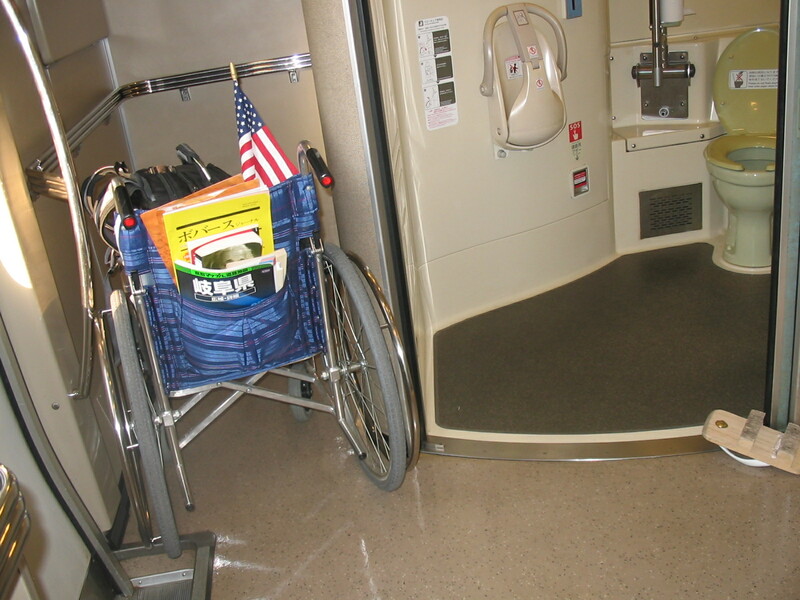 Front door access on the low floor with kneeling mechanism is now prevailing on MBTA, too, in 2010. Good luck and take great care for your commute-training, and thank you for your permission to publish and cooperation for the Japanese policy makers! With only ambiguous but without effective equal employment opportunity including people with disabilities, we don't see wheelchairs in towns. 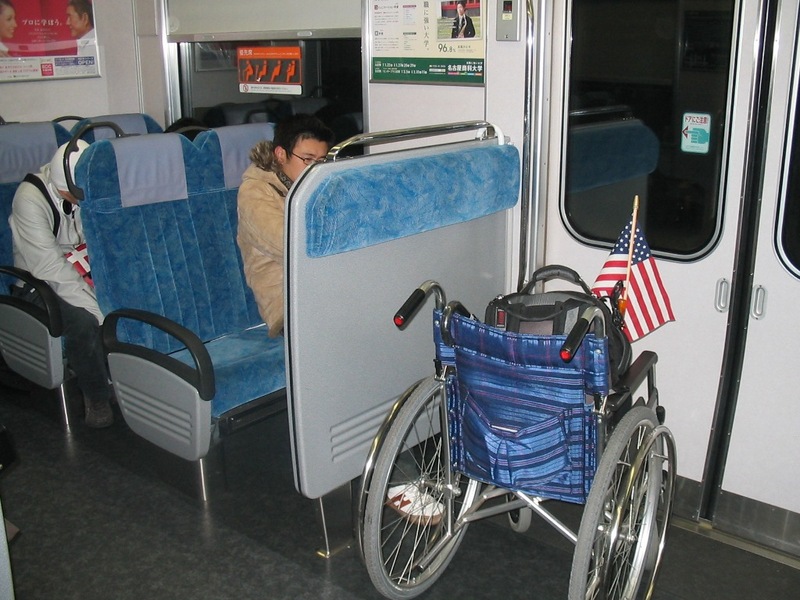 Americans with Disabilities Act (ADA) 1990 regulations progress equal access to 1) Employment, 2) Public Services, 3) Public Accommodations and Services Operated by Private Entities, 4) Telecommunications, or 5) Miscellaneous Provisions for people with disabilities through comprehensive, concrete Accessibility Guidelines.